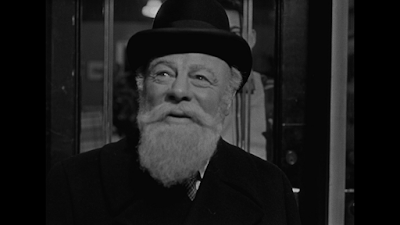 Edmund Gwenn as "Kris Kringle" in Miracle on 34th Street (1947). 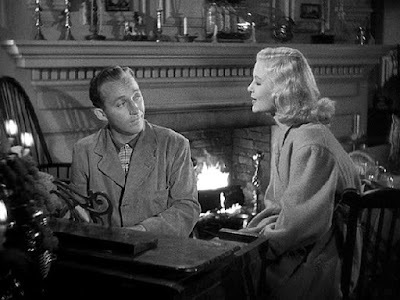 There have been lots of great movie and TV Santa's in the 70 years since, but I think Gwenn is still the gold standard. John Candy as Johnny LaRue on SCTV. The 1981 Christmas episode of SCTV, "Staff Christmas Party." 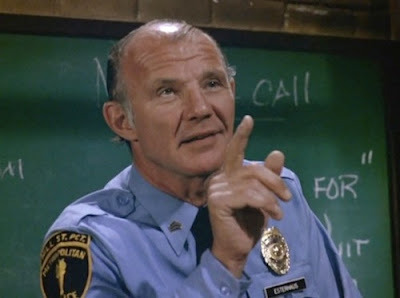 My father and I watched it when it first aired more than 30 years ago and taped it off Nick At Night a few years later. 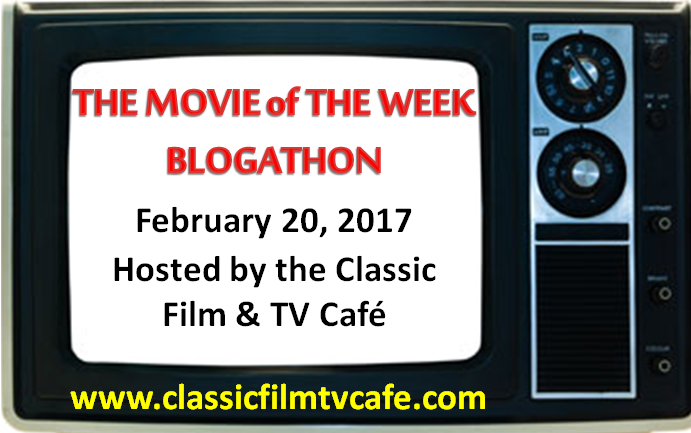 Now my family watches it every year during the week of Christmas on DVD and we've shared it with relatives who never heard of SCTV before! 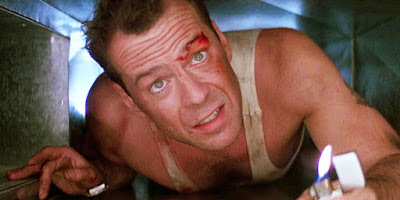 Since I review Christmas entertainment, I occasionally watch it out of season. But I generally prefer not to, I get a bit queasy when I hear "Jingle Bells" in May. 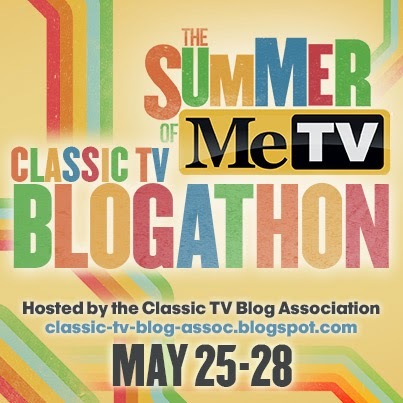 I primarily watch DVDs, Turner Classic Movies and channels like MeTV and Antenna. 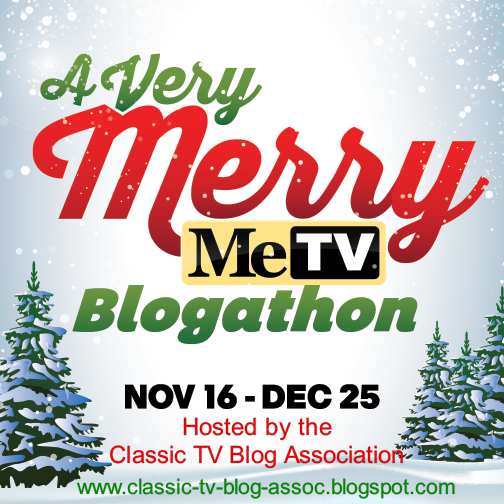 A Charlie Brown Christmas, Rudolph, and the aforementioned SCTV episode. That is tough. 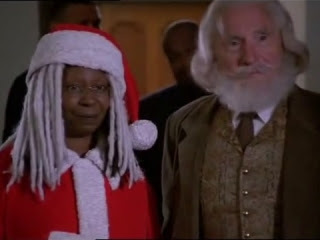 I really like Richard Attenborough [in 1994's Miracle on 34th Street], but I also like Nigel Hawthorn in Call Me Claus and who can resist Whoopie Goldberg in white dreds. She ranks as the most original. 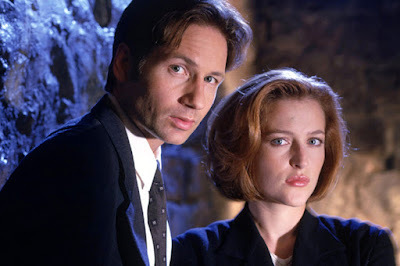 I really like "Twas the Episode Before Christmas" from Moonlighting and "The Ghosts of Christmas Past" from The X-Files. Though technically a solstice episode I also like "A Solstice Carol" from Xena. Perfect for the Swedish midwinter. Year round, when the mood strikes. Either when it is so hot outside and want to see snow. To being depressed and wanting to feel uplifted. I am in Sweden so not much comes on the TV. I have Netflix and numerous DVD's in my personal collection. And whatever I can find on YouTube. If I get 5, I would say A Charlie Brown Christmas and Die Hard. It's good any time of the year. 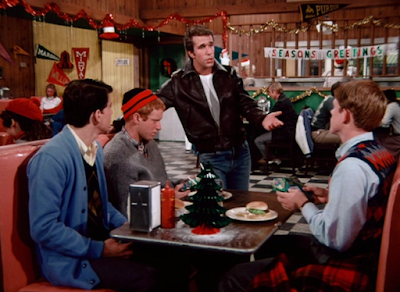 from 1974's Happy Days Christmas episode. If you’ve read any of my previous Christmas in July columns, this will make me sound like a broken record. 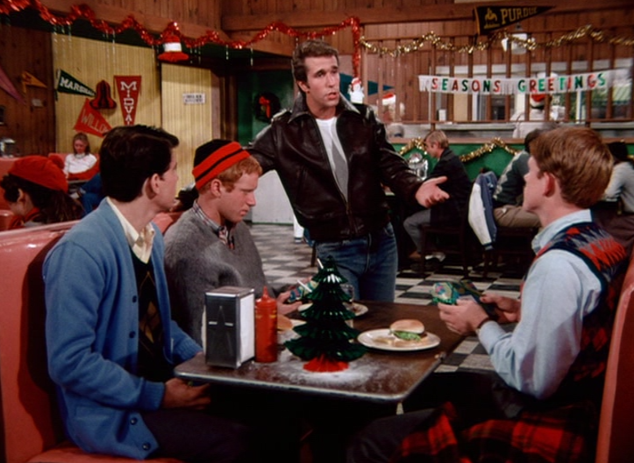 I go with "Guess Who’s Coming To Christmas," the second season Happy Days Christmas episode. I can watch this any time of year and it makes me happy. It’s the first real step in the show towards incorporating The Fonz into the world of the Cunninghams. It’s also the first real sign that The Fonz is human and not just a rebellious chick magnet with a great bike. (Of course, this is a season or two before he’d become the wonderful superhuman we all love). It’s also a sign that keeping up the façade of being Cool might have a price. And that price is a lonely Christmas with only your bike, a small tree and ravioli out of a can. Thank Goodness that Richie figures it all out. Plus, there’s the bittersweet moment welcoming the Fonz in and saying goodbye to Chuck. But, I won’t go into that. I’d also like to add an OTR episode. The Fibber McGee and Molly Christmas episode from December 21, 1942. Not only is it very, very funny. But, their closing remarks about the War always make me tear up. FM&M was one of the most patrotic of OTR shows (along with Bob Hope) and this moment is just wonderful. A conflict much of the country could actually get behind. That hasn’t happened in my lifetime and I find it fascinating. Generally, it’s some sort of physical media. Blu-Ray, DVD, or VHS. 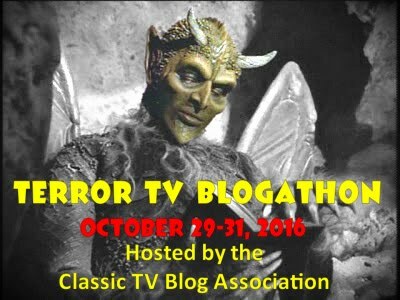 Sometimes I will scan the TV schedules and record (or watch) stuff. But, generally, if I love it and want to watch it, I’ll get myself a copy. 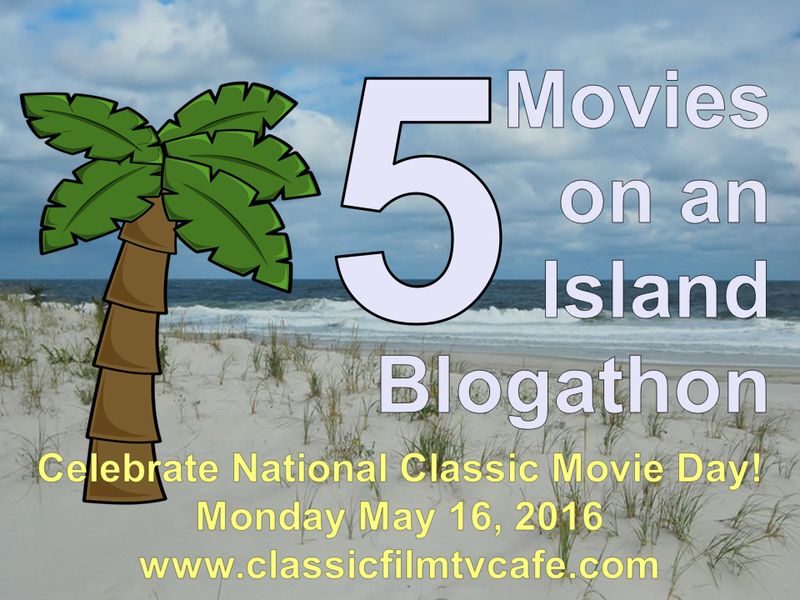 Never rely on a TV station or someone else to schedule something you want to watch at a holiday. Do it yourself. I’ve seen people get mad because, say, TCM didn’t show The Bishop’s Wife one year. You know what? If that’s part of your annual holiday viewing, buy the Blu-Ray. It looks gorgeous. Of course, if you like complaining, then keep complaining. Everyone needs a hobby. Black Christmas. The original. Scary, funny and oh so cold. I don’t know what Billy did to Agnes and I hope I never find out. I think I’d also take along a Christmas episode of The Price Is Right. Probably from the late 1970s/ 1980s. You get Bob, fun games, big prizes and lovely ladies. I’m sure that would make me very happy. 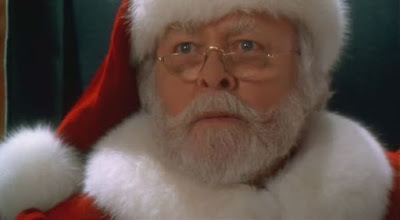 Richard Attenborough from 1994's Miracle on 34th Street. I haven't yet found a Santa that matches up to the Santa Claus of my imagination but the Coca Cola Santa probably comes the closest but worthy mentions should also go to Edmund Gwenn, Richard Attenborough, Ed Asner & David Huddleston. In the UK, series tend to end before the holiday season and instead we are treated to a special extended seasonal version of a popular series. I'm going to cheat here and choose 3 very different UK favourites. 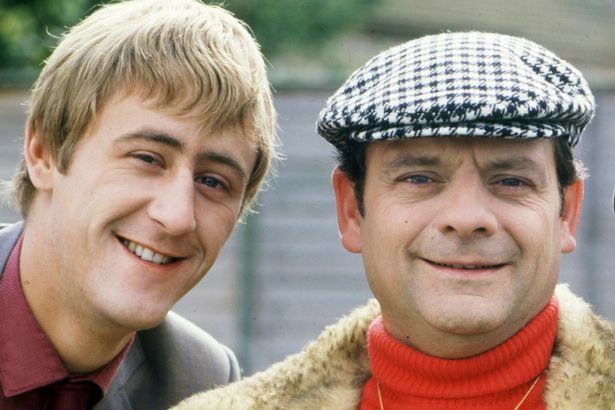 My first choice is a special episode of Only Fools and Horses called 'The Jolly Boys Outing' and was first shown on Christmas Day in 1989. 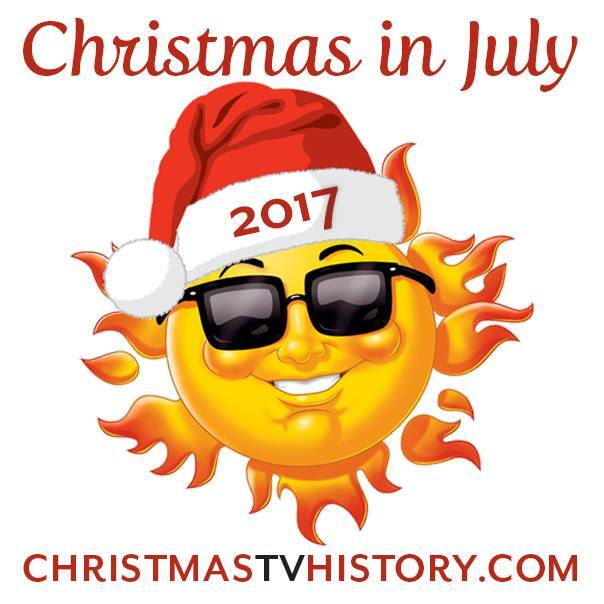 Like many UK Christmas specials, Christmas doesn't feature at all and the episode actually takes place over the August Bank Holiday weekend. Despite that, it is forever associated with Christmas. My 2nd choice is The Gavin and Stacey Christmas Special from 2008. This special episode actually revolves around a typically British Christmas and the prospective in-laws et al coming to stay, just delightful. My 3rd choice is "The Worst Christmas of My Life," which is a special version of the sitcom The Worst Week of My Life and was shown in 3 parts during Christmas week in 2006 and is about the new parents bringing their first baby home to the wife's parents for Christmas. This is played as a very British farce and everything that can go wrong goes wrong. I try to limit what I watch outside the holiday season in order to rack up the anticipation but I do allow myself to watch the odd Christmas TV movie I've still got recorded when I'm in need of a fuzzy boost. 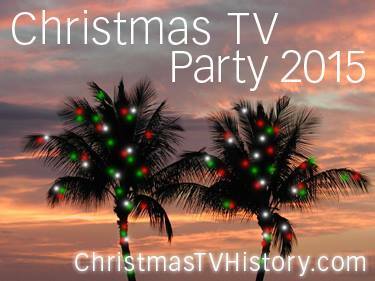 We use all the platforms but I'd say we watch mostly the terrestrial channels via antenna as they are very good over Christmas but we have satellite, Amazon & Netflix as well and if there is a seasonal special then we'll catch it there. I have a collection of favourite DVDs of movies and specials and will watch those as well. If there is a special cinema showing of a Christmas classic then we might go and see that and we usually go to see Royal National Ballet's production of The Nutcracker every year if we can. 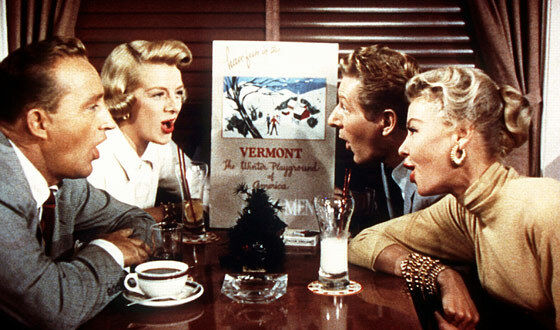 A very hard choice but two movies we absolutely must watch every Christmas is White Christmas & The Family Stone. Very different but both are much loved and we will only watch those during the holiday season. My third choice is an episode of my favourite sitcom Frasier, "Merry Christmas Mrs Moskowitz." It is so clever and is the classic farce with characters coming in and out of doors just avoiding each other. The dialogue & timing is just faultless and is one of the funniest episodes ever written. 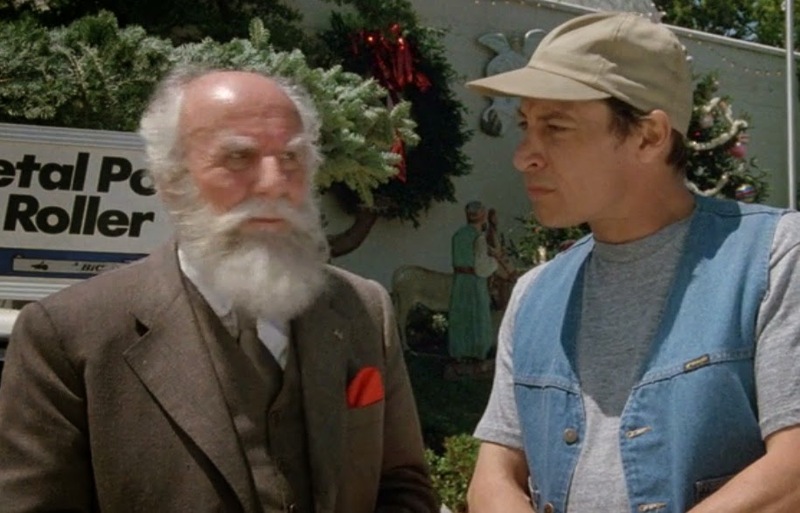 My favorite Santa Claus would be the one from Ernest Saves Christmas, played by Douglas Seale. He is perfect in so many ways, down to his jolly nature and the twinkle in his eye. I especially love his child-like innocence, which is perfectly displayed in the scene while he is watching them film a horror movie called "Christmas Slay," but thinks it's called "Christmas Sleigh." 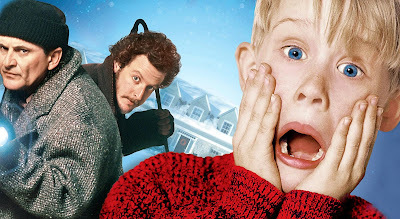 He is so delighted as the family in the scene is preparing for St. Nick's arrival, when a monster busts down the door and begins to attack them. He finds the idea of "terrorizing children at Christmas" so appalling that he actually assaults the director. Now that's a Santa that won't let anyone mess with Christmas! 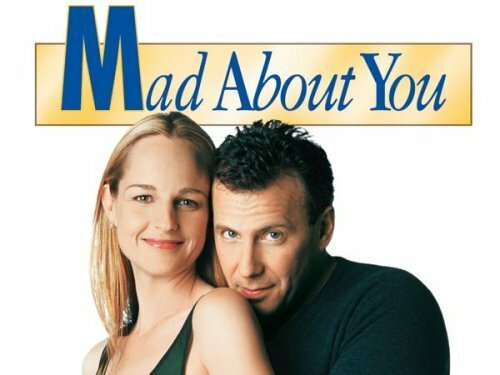 My favorite Christmas episode would have to be "Met Someone" from Mad About You. This is a flashback episode where Paul and Jamie first met. 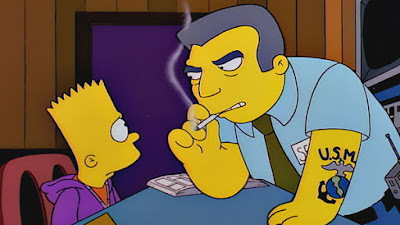 For anyone who is familiar with the show, it's known that they met at a newspaper stand, but this episode not only shows that first encounter, but also what happens next. Paul finds out where Jamie works and in an effort to win her over, endures her office Christmas party and a line of questioning from friends. It ends in a sweet moment as their life together begins, proving once again that miracles abound at Christmas. I get what I call the "Christmas Fuzzies" throughout the year and usually indulge by watching some obscure Christmas movie or TV episode that I probably wouldn't have a chance to watch during the Christmas season. We usually stick to the classics in December, so it's during the other months of the year that I get to delve deeper into my love of Christmas. 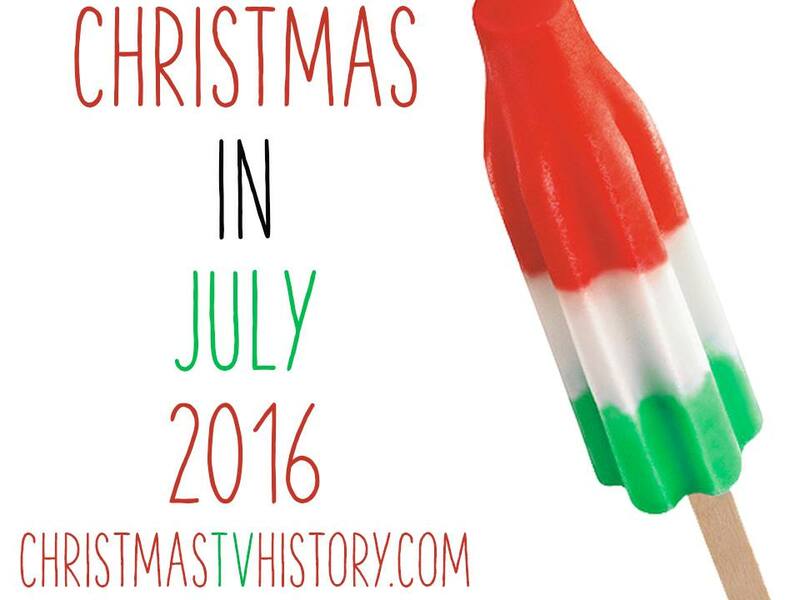 Of course Christmas In July is another great excuse to do so! I usually watch most of my Christmas entertainment on DVD or online (Netflix, YouTube etc). When it comes to holiday episodes, I like to rip my favorites onto a digital media format and keep them organized for easy access. Then I usually watch them on my computer or connect my usb storage through my Bluray player to watch directly on the television. I love the many options now available to us these days so we no longer have to wait for these episodes to air. Only 3?? That's incredibly difficult, but I'd go with ones that never seem to get old...White Christmas, Home Alone & A Charlie Brown Christmas - all three have a terrific soundtrack to boot! 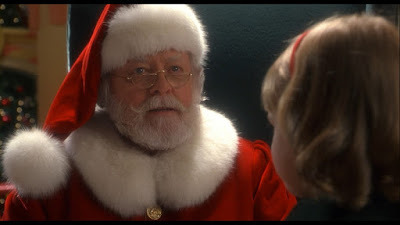 My absolute favorite Santas are Edmund Glenn and Richard Attenborough in Miracle on 34th Street – the first one & the remake! 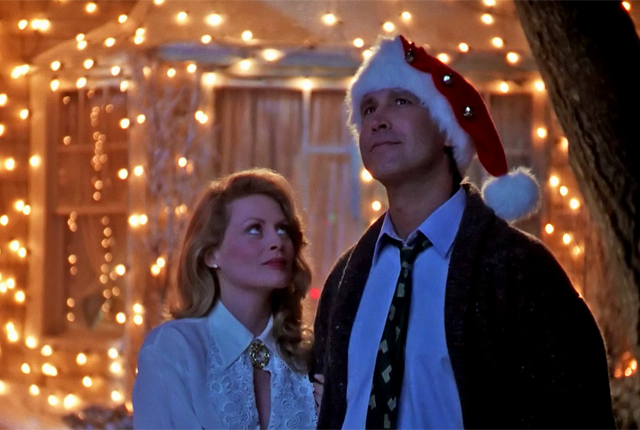 I just love how both Santas relate to young Susan Walker and convince her, eventually, to believe! They’re both such a child at heart! The best gift “Santa” gives Susan and her mother Doris is learning to have faith again! I also love Charles Durning in Hallmark's A Boyfriend for Christmas and Donovan Scott in Matchmaker Santa! They have such a jolly, happy sparkle!!! 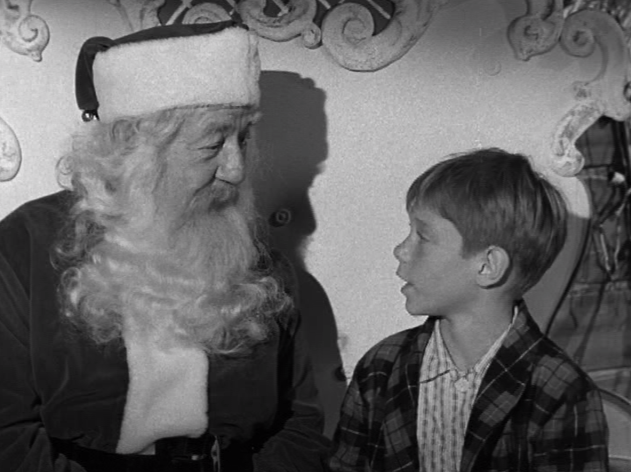 from the 1959 Christmas episode of Dennis the Menace. Dennis the Menace and The Waltons are my two favorite Christmas episodes! I just love how each of them are about family, traditions, and everything sentimental and special about Christmas! When Dennis, who IS such a menace, sings "Silent Night" at the end of each Dennis the Menace Christmas episode, he seems like such a little angel then. Everyone's hearts soften toward the boy and all is well at Christmas! As for The Waltons... What greater joy can be found - when all the family, who had been previously separated, all come home for Christmas! My heart is filled with such happiness just thinking about it! I LOVE CHRISTMAS ALL YEAR ROUND!!! Why wait for the Christmas season, when one can celebrate the true spirit of Christmas every day of the Year!!! Throughout the Christmas season- I enjoy watching Christmas movies on the Hallmark Channel, Hallmark Movies & Mysteries, UP, INSP, TCM, and any other stations that play family Christmas movies! 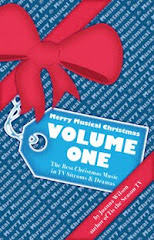 The rest of the year, I rely on my Christmas DVD collection, or whatever I still have on my recorder from Christmastime! 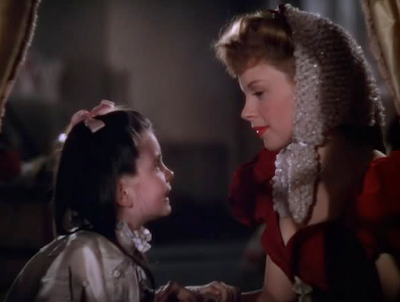 from 1944's Meet Me in St. Louis. This is a really great question! Oh my goodness, it’s so hard to narrow it down to only three, but I would have to choose... It's a Wonderful Life, Meet Me in St. Louis, and A Charlie Brown Christmas! I would want It's a Wonderful Life as a daily reminder of the important things in life, family and friends. My second choice Meet Me in St. Louis is always upbeat, there's such a good energy in the movie with all the amazing songs and musical numbers. That would be essential to have to keep up one's spirit! 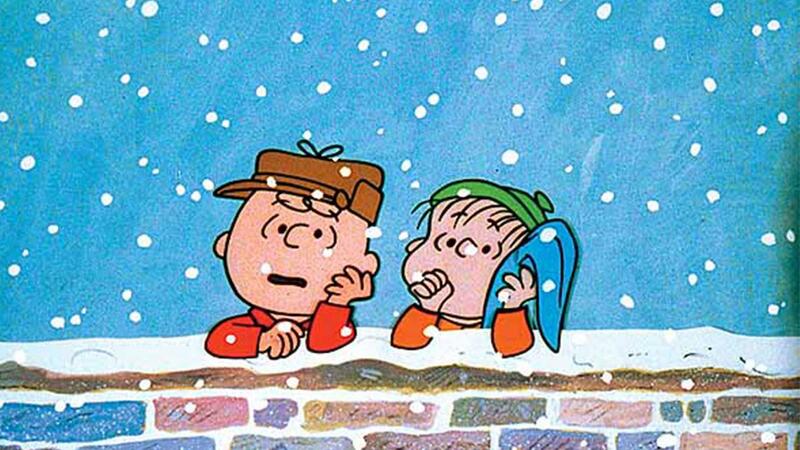 And then, A Charlie Brown Christmas to always remind me - to not focus on things of this world, but to remember the Christ child! 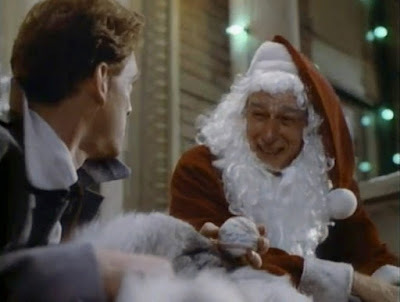 Even though he’s not the central character of the movie, my favorite Santa is the store Santa from A Christmas Story. Now, he often gets kind of a bad rap, being described as “grumpy” or “angry,” but I don’t see it that way at all. He strikes me as a quintessentially Midwestern working class, over-worked guy, and that’s why he’s my favorite. He’s trying to do a nice thing for the kids, but his job is unrelenting and his work environment is ridiculous. The kids have to climb an absurdly high platform to get to him, after which they’re expected to make a rapid descent to the ground floor on an equally absurd and terrifying slide. Management is unreasonable—and Santa says so to his helper elf. The line of kids is endless despite the rapidly approaching closing time of the store. Is Santa going to be paid overtime for his labor? Probably not. His disheveled appearance suggests he hasn’t had a break in a long time, if at all. He’s been on the job so long that all he has left in the way of Santa-y patter is to shout “Ho-Ho-Ho!” The situation has exhausted his Santa reserves and yet he tries to be tender to the kids on his lap. By the time Ralphie scrambles back up to the top of the slide to blurt out what he really wants—a Red Ryder B-B Gun—our world-weary Santa doesn’t have the energy to indulge him with a bit of Santa’s whimsy. Instead, the practical, realistic, overworked Midwestern guy comes out: “You’ll shoot your eye out, kid,” he shrugs, and carefully, gently, pushes Ralphie down the slide with the toe of his boot. Classic. 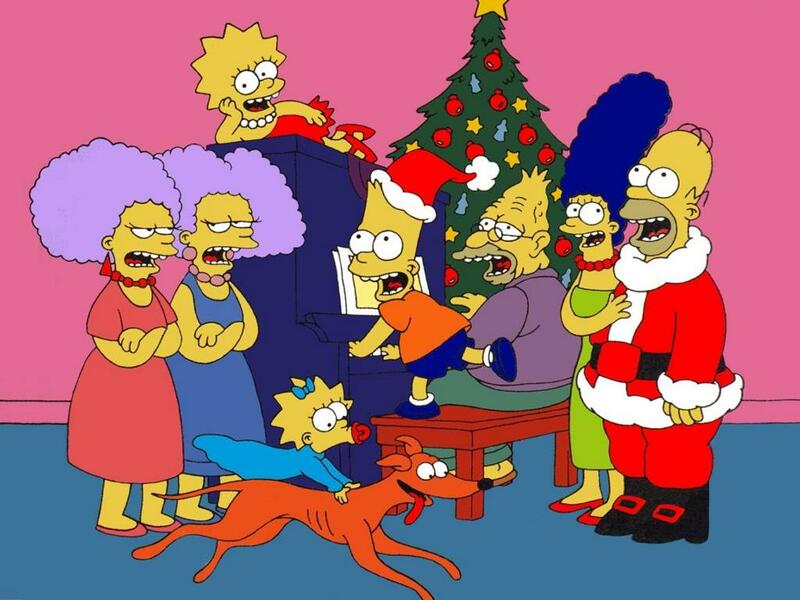 from 1995 Christmas episode of The Simpsons. “Marge Be Not Proud,” from The Simpsons. Every single joke is funny and this episode has a lot of heart. Plus: Lee Carvallo’s Putting Challenge. I like seeing Christmas entertainment year round, but I don’t usually seek it out. For me, it’s always more powerful during the holidays because it enhances the holiday atmosphere. I mostly watch via cable, but also DVDs from the library, and some Netflix. The options for viewing are numerous and I am very lazy, so I watch via whatever service is in front of me at the moment, mostly. 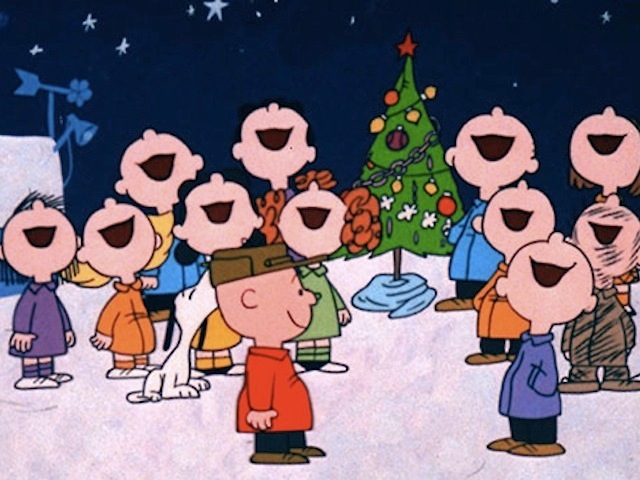 A Charlie Brown Christmas (it’s like a work of classic American literature at this point). 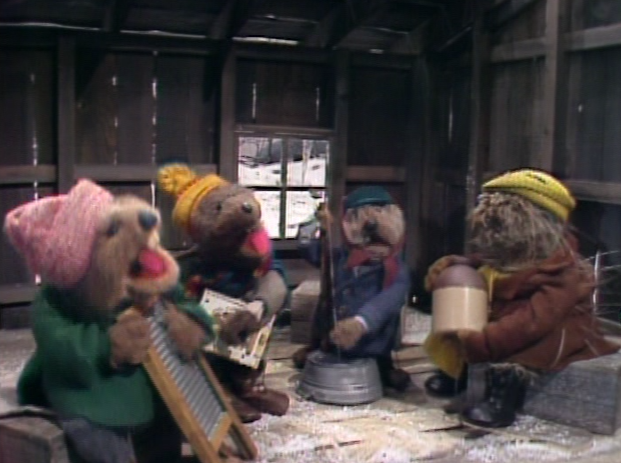 Emmett Otter’s Jug-Band Christmas (it has great music, characters, humor and sentiment). 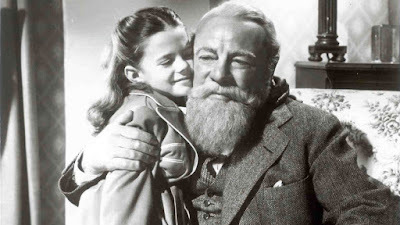 Miracle on 34th Street (it’s a movie that I’ve only seen once or twice, so this would be a good opportunity to spend some quality time with it). from 1964 Christmas episode of Bewitched. 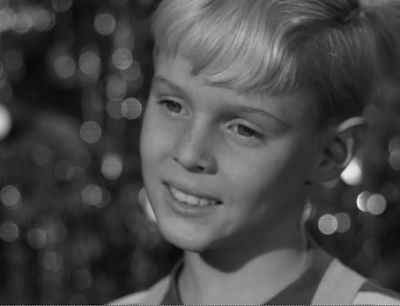 Bewitched, season one: “A Vision of Sugar Plums.” Samantha teaches Will Robinson the true meaning of Christmas, before he is adopted by Major Healey. 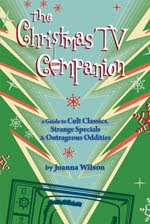 It’s the perfect classic TV Christmas show. I used to limit myself to the holiday season, but I’ve changed my mind in recent years. Now I make sure I watch at least two Christmas TV episodes every month. I have a huge TV on DVD collection, and there’s where my holiday entertainment comes from. 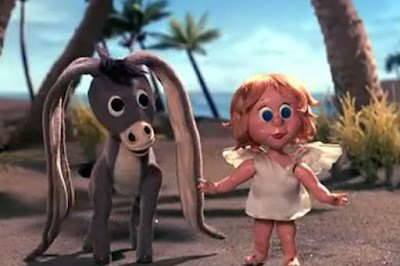 But YouTube is a wonderful source of vintage Christmas commercials, which I enjoy year round. Whenever I want to see Santa riding into town on a Norelco razor, or champagne glasses clinking to ‘Carol of the Bells’ in the Andre commercial, that’s where I go. 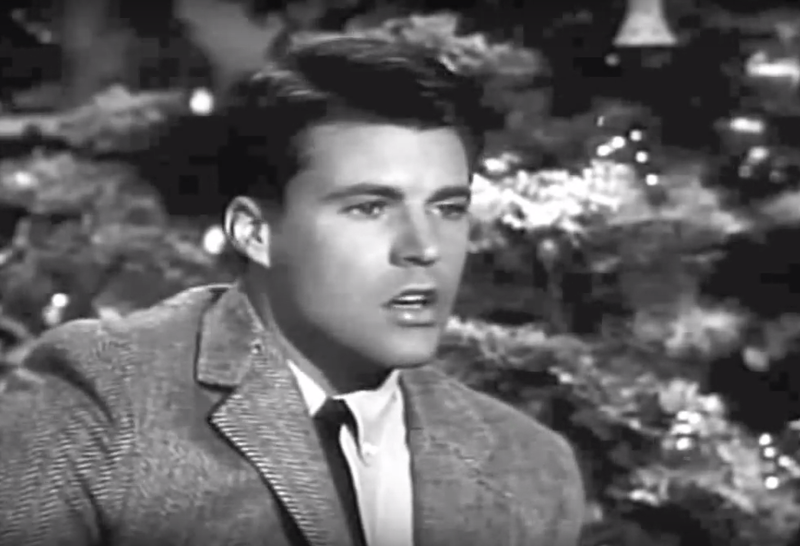 Ricky Nelson singing "The Christmas Song" from The Adventures of Ozzie & Harriet. The story goes that Natalie Wood was crest fallen when she saw Edmund Gwenn without his beard because she really believed he was Santa Claus. And I agree with her. His depiction of Kris Kringle was perfect. 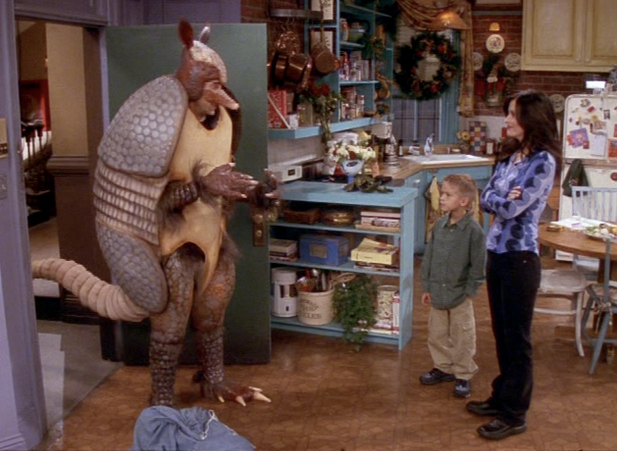 Friends' 2000 episode "The One With the Holiday Armadillo." For the most part I watch Christmas programs during the season. 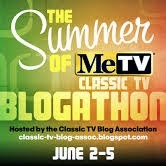 However if it's something I really like and I happen to come across it on TV, I will watch. This usually only pertains to series television, though. I mainly save Christmas features for the holidays. I'm an older fellow (71) so I mainly watch in house entertainment through either broadcast (cable) TV or my home library. My cable contract is only for extended cable and does not include premium channels like Showtime or HBO. And I've never seen anything on streaming services that has interested me. 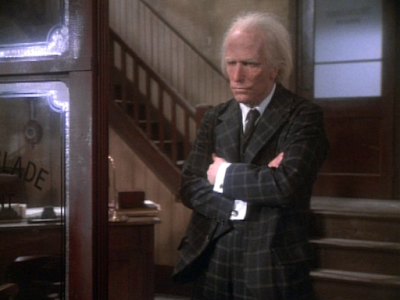 1979 TV movie An American Christmas Carol starring Henry Winkler. I'd start with John Denver and the Muppets - A Christmas Together. I saw someone mention this special in a previous "Christmas in July" and I will add my sentiment that I wish it were available on official DVD release. I've also had a soft spot in my heart for An American Christmas Carol starring Henry Winkler. Although it is kind of dated (the ghost of Christmas Future is dressed like a disco dancer) it's a fine piece of holiday entertainment. Finally I would probably take a copy of A Charlie Brown Christmas because . . well, because it's A Charlie Brown Christmas. That's reason enough! I'm partial to Ed Asner's Santa, mostly due to Elf, but Asner has played Santa before, and is slated to do so again, for good reason. 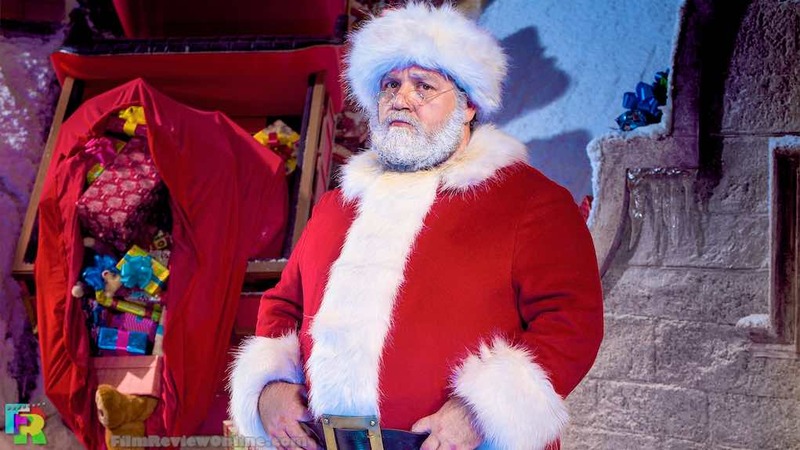 His gruff but lovable voice and overall demeanor definitely suit the role (pun intended), and Elf's gentle-but-somewhat-cynical Santa gives the Jolly Old Elf a modern spin, without sacrificing Santa's inherent innocence and charm. 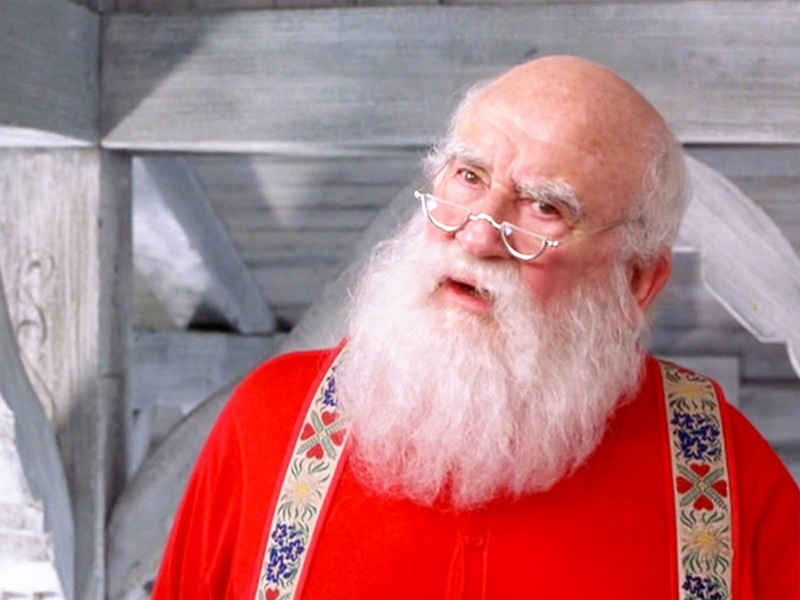 And perhaps most importantly for a man whose bushy beard hides his features, Asner's deep laugh translates into a true, booming "ho ho ho" that perfectly embodies the cheeky, magical man in red. I'd also like to award honorable mentions to Edmund Gwenn's classic appearance as Kris Kringle in the original Miracle on 34th Street, who set the Santa standard for generations of moviegoers, and the various charismatic & indelible animated portrayals of the North Pole's most famous resident. From Rudolph's red-cheeked employer, to Prep & Landing's rarely-seen, red-coated head honcho and the Polar Express' winsome Santa-as-Celebrity portrayal, most of our first impressions of Christmas' Big Guy come from stories and specials featuring famous voices, but hand-drawn, or CGI, visages. Oh my, so very many to chose from! 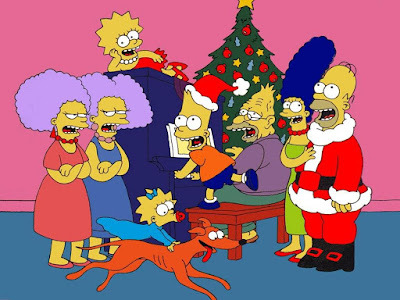 The Simpsons have put together half a dozen remarkable holiday episodes, including their pilot outing, "Simpsons Roasting On An Open Fire" (1989). Last year, Disney Channel put out a special 30-minute episode of its new Mickey Mouse cartoon short series, titled, "Duck the Halls," that is sure to become an annual must-watch in our house, though that treads the line between stand-alone special (since it can definitely be watched that way & is outside its series normal format), and series holiday-centric episode. As does another animated fav (also from the Disney Channel), "Phineas & Ferb Christmas Vacation," where Santa threatens to skip Danville due to a Doofenshmirtz inator that puts the entire town on the naughty list. This sweet & funny extra-long episode, released as a stand-alone in 2009, is a yearly tradition in our house. 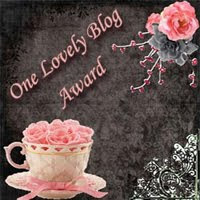 The other, more offbeat choice that came to mind is the holiday episode of the one-season-wonder, Trophy Wife. A more grown-up Christmas laugh, in "'Twas the Night Before Christmas...Or 'Twas It"(2013), the adult members of the extended Trophy Wife family struggle to unravel the mystery of exactly what happened on Christmas Eve after their memories go blank, thanks to some especially potent mulled wine. 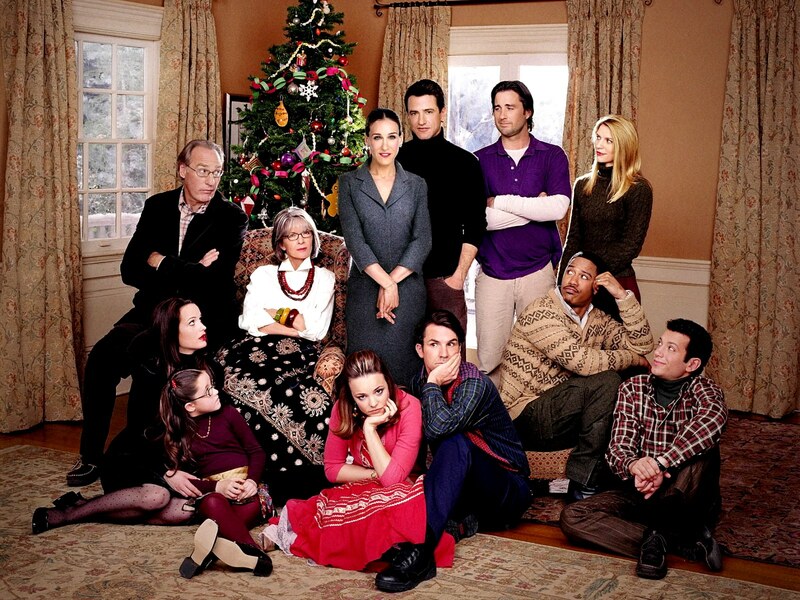 Unexpected and uproariously funny, this was one of the most clever, and completely unique, sitcom salutes to the holiday I've ever seen. 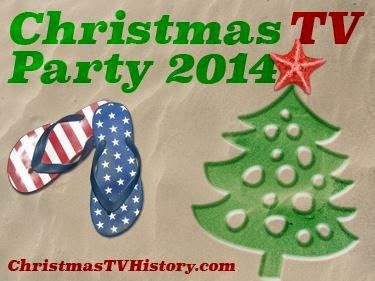 As a serious Christmas TV & movie junkie I limit myself to indulging only during the holiday season. 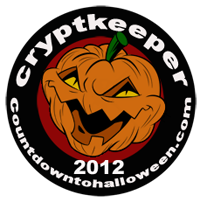 Granted, I have extended that window to roughly November 1, having learned since I had little ones that the time between Thanksgiving & Christmas flies by so quickly, with so many events & obligations, that if I wait until after we carve the turkey, as I used to, I'll barely get to see anything at all. To me, holding out, makes it sweeter. There's nothing I enjoy more than sitting down to enjoy the first Hallmark movie of the season with my husband and a glass of wine in my decorated -- albeit for Thanksgiving -- house. Waiting until the time of year is upon us, makes it special, a teeny bit sacred and absolutely influences my overall holiday spirit! 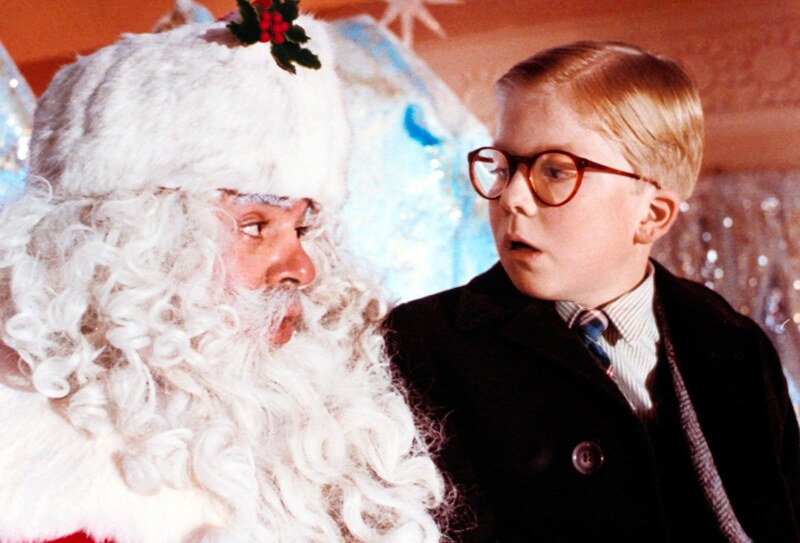 Not to mention that movies and specials are an integral part of our family Christmas traditions. The day before Thanksgiving I spend alone in the kitchen, prepping for the big day and watching a marathon of my favorite Christmas films. When everything is set for the feast, we sit down as a family and watch Love, Actually. A movie I've seen, roughly, 1,000,000 times, but still never fails to make me cry. What for many would be a day of drudgery -- 8+ hours of baking, cooking & cleaning -- is, for me, one I look forward to all year long. We also have a family TV advent calendar, of sorts, letting the kids choose an animated special every night between Thanksgiving & Christmas, that we all watch together. It feels cozy and ramps up the entire clan's Christmas spirit. Almost all of the above. We've got, probably, 100+ movies and specials -- all of our favs and annual must-sees -- on DVD, blu-ray and/or purchased in iTunes, and my DIRECTV DVR is full thru January with Christmas movies, specials & holiday series episodes. We've also got Netflix, Hulu & Amazon Prime. All are sources for our nightly, holiday TV viewing. Honestly, other than sports, I'd say we don't watch much BUT Christmas-themed fare throughout November & December. Actually the glut of options, and the sheer, overwhelming amount of annual content, is why I started to make a list of all the new, holiday fare that will be airing each year. What started as a Google doc shared between friends, eventually got put online at http://sleepykittypaws.tumblr.com/, though I still do it primarily to keep track myself of what's out there. 2) Love, Actually - I've already said we watch this, literally, every single Thanksgiving Eve, and despite seeing it countless times I always cry when Uncle Jamie proposes to Aurelia, Sarah gives her brother the scarf and Emma Thompson learns her husband has given a necklace to someone else. I admit that Hugh Grant danced his way into my heart long before he played the Prime Minister and this movie not only has him at his most affably charming outside Four Weddings and a Funeral, but probably boasts the greatest overall cast ever assembled for a rom-com. Heck, I even cried over the Red Nose Day sequel that debuted this year and am trying to find out where I can get a copy for future re-viewings. I know Love, Actually can be polarizing but, to me, it's perfect. 3) While my one-two picks came easily, as they're by far my very favorites, deciding on "just one" more is decidedly trickier. Do I go with my all-time favorite animated special, The Grinch? I honestly can't imagine a Christmas season without seeing it, or Charlie Brown Christmas, or The Year Without a Santa Claus, or A Garfield Christmas. How could I possibly pick just one? How about The Polar Express, which is the first movie our eldest ever really watched, kicking of a still-secure lifetime love of trains, and is now our family Christmas Eve, viewing tradition? Perhaps my all-time favorite made-for-TV Christmas movie, Holiday Switch, which embodies the cheesy, crazy goodness of its genre by having a Baywatch babe climb through her clothes dryer into an alternate holiday reality? The catchy, feel-good Britishness of Nativity!, whose soundtrack is almost as good as this underrated, sweet, funny film? But I think if you held a Christmas cracker to my head, I might have to go with the Prep & Landing series (2 specials & 1 short) for sheer classic Christmas spirit, combined with rampant rewatch-ability. The story of Lanny the elf adds new lore to the Christmas canon and delights both kids and adults. Both festive & funny, this is the very best of the modern Christmas specials to my mind. 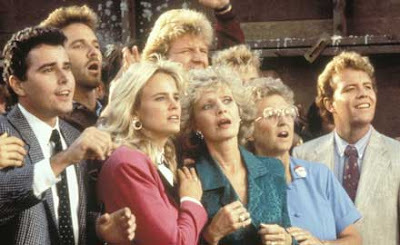 I'm still holding out hope that Disney will deliver a promised third, full-length installment. from the 1964 Christmas episode of Bewitched entitled "A Vision of Sugar Plums." The Santa played by Cecil Kellaway in the Bewitched episode "A Vision of Sugar Plums" is great and I love that he knows Sam! Lenny and Squiggy in the 1976 Christmas episode of Laverne & Shirley singing "The Jolliest Fat Man." This was tough! 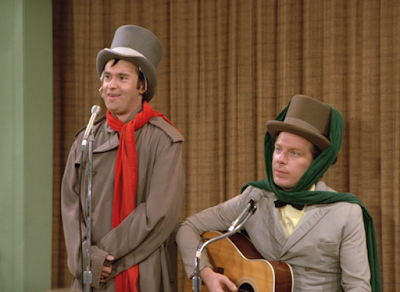 I settled on Laverne and Shirley's "Oh Hear the Angels' Voices" - So much fun in that episode, including Jolliest Fat Man! I usually watch during November and December, but if an episode pops up in the run of a show I am watching, I will watch. 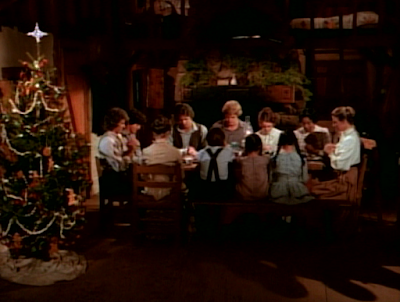 Just watched the Alice season 2 episode "A Semi-Merry Christmas" the other day. Usually watch through cable, using the DVR to record specials, episodes and movies as they air and watching them when we have the time. Some older, more obscure things that aren't as important to networks today, like A Smoky Mountain Christmas, I watch on DVD. I have to watch them, so I make sure to have a copy of my own. Netflix and Hulu are newer alternatives, I like seeing what they have available. Have also used their Fireplace Log videos as background, quite festive. And we often have the music channel Sounds of the Seasons on, as well. A Very Brady Christmas, for sure. I love this reunion movie. It's a Wonderful Life. A classic that I never tire of. 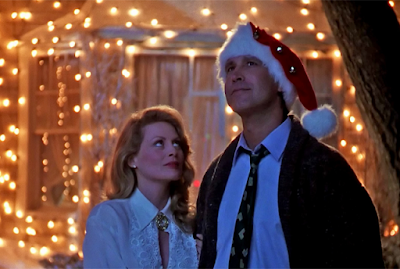 Christmas Vacation. Also a classic. With these three, I think we get some heart, drama, comedy and Christmas joy. Y'know, I'm sure it's going to be an eye-roller, but I still find Edmund Gwenn's Kris Kringle in MIRACLE ON 34TH STREET as charming now as I did several decades ago. I'm gonna stick with him for this year. Mickey Rooney as the voice of Kris in the Rankin/Bass SANTA CLAUS IS COMING TO TOWN does get a special shout-out, though. He has a wonderfully strong, dynamic, expressive voice that you tend to miss when watching him in a film (probably because his size and pugnaciousness and energy tend to seize one's attention). I wonder if he ever realized how good he was in that special? And--one other nod to Alec Baldwin's voicing of the more eastern-European, burly wizard take on Santa in Rise of the Guardians (not a television release, I know) a few years ago. His speech about the nesting-doll aspect of his nature was simply lovely. 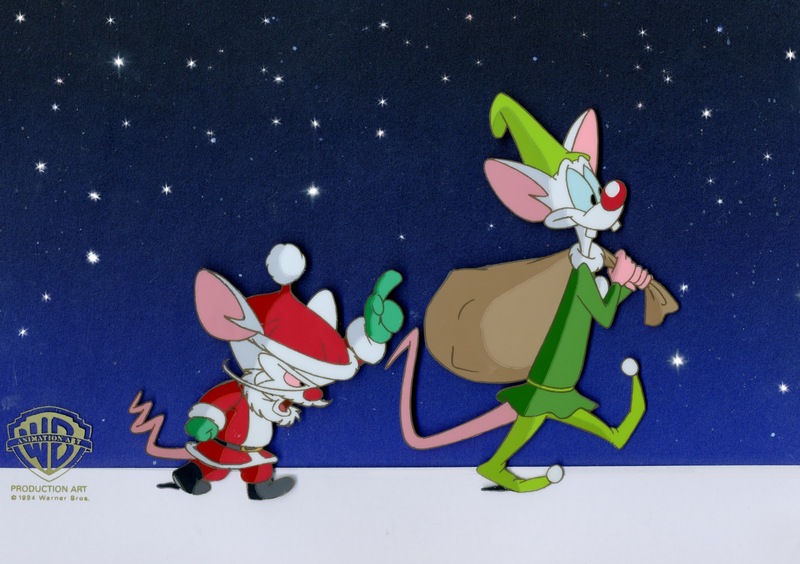 Possibly the PINKY & THE BRAIN CHRISTMAS EPISODE---? I mean, I like so many of them, but that one totally blindsides you with an inescapable pull at the heartstrings. 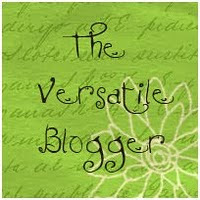 . . and in a way that completely works within the framework of both the story and the characters. 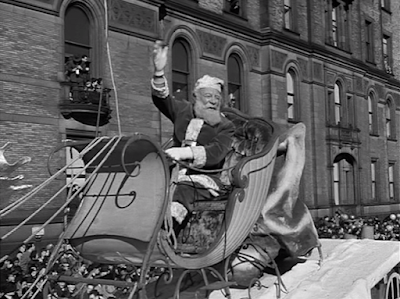 I do also like the Twilight Zone Christmas episode with Art Carney, although it comes off as rather clunky since it's shot on videotape, giving it a "stagey" feel. Not year-round, no-- but I do like accidentally coming across one every once in awhile over the course of the year-- sort of checking to make sure the pilot light is still lit. Now, I'm certainly capable of starting to watch them before Halloween sometimes (and my daughter's even worse than me on this score), but at that point I'm sort of in the early stages of season anyhoo. We've yet to subscribe to cable or any streaming service-- don't watch enough current television to quite justify the monthly cost. 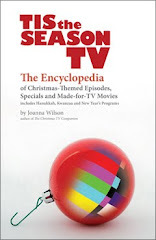 Nope, we have many DVD's and VHS tapes; I'll sometimes watch something obscure on Youtube; the kitchen television gets a LOT of holiday-centric use as the season provides programming; and our local library is also a source of many, many old series on DVD-- just there for the borrowing. Man, do I love that amenity in our society! A) IT'S A WONDERFUL LIFE. One of my favorite movies of all time across the board. Easy answer on that one. B) 1950 version of SCROOGE/CHRISTMAS CAROL with Allistar Simm. It's my favorite version out of the many. C) Ohhhh, probably MIRACLE ON 34TH ST again, just 'cause it's so chock-full of notable character actors jumping in for brief moments throughout. It's kind of disastrously edited (some really sloppy jumps), but the director does such a great job of trusting his cast as they pop in and out of the film that you happily let the blemishes go right by. We have a colorized version, and it's one of the few classic B&W films that I think is improved with the addition of a bit of color-- especially that sort of water-color filter look that early colorization seemed to yield. There ya go, folks. And who knows-- maybe next year the answers'll be entirely different! 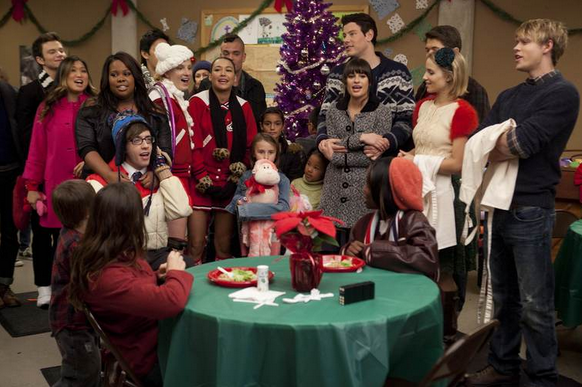 -I think it's the Glee Christmas special from season three: "Extraordinary Merry Christmas." 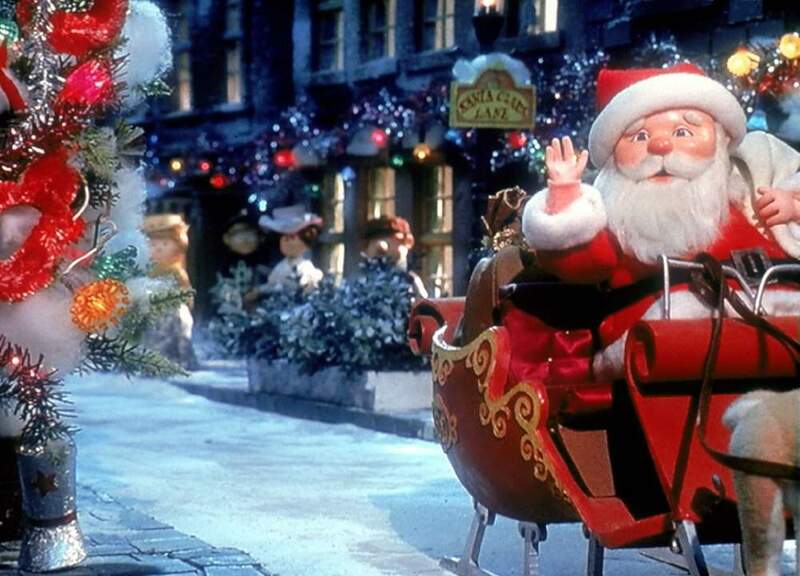 -I love watching it throughout the year; I watch something festive each Rudolph Day and kick off Christmas on November 15th each year with regular viewings of holiday classics. I like the anticipation that off-season viewing brings. 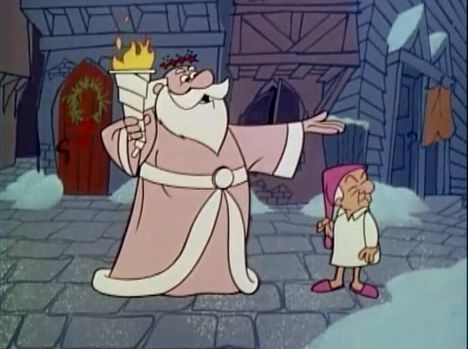 I’ll pick the Rankin/Bass’s Animagic Santa with the voice of Mickey Rooney, because that gives me a threefer: Santa Claus is Comin' to Town, The Year Without a Santa Claus, and Rudolph & Frosty’s Christmas in July. In particular I love Mickey’s singing in the first two, with "Put One Foot in Front of the Other," "Be Prepared to Pay" and "I Believe in Santa Claus." Great performances by a great performer. from the 1998 episode of Frasier entitled "Merry Christmas, Mrs. Moskowitz." This question is so difficult to answer. Sometimes what starts as an ordinary episode, later becomes a special. 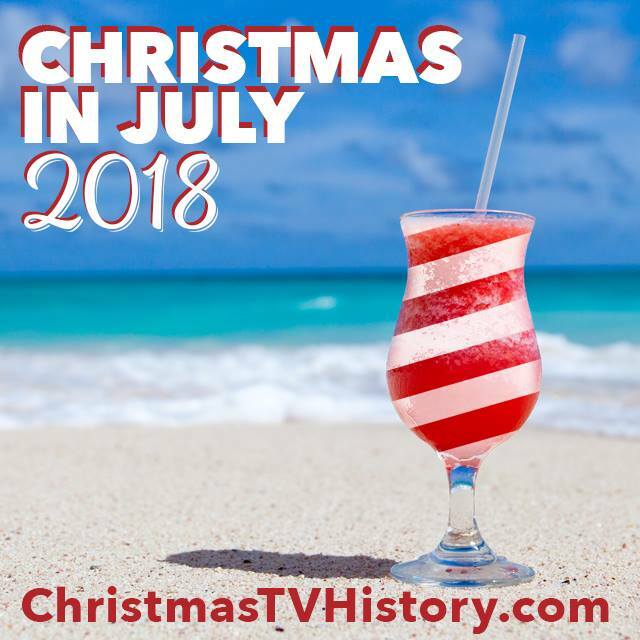 "How The Flintstones Saved Christmas’ was just Season 5 Episode 15, but it aired on Christmas Day, 1964, which would rank it among the first animated Christmas specials if it were counted as a special. It is one of my favorites. Same issue with “The Tick Loves Santa,” which, I recall, aired in the evening on Fox as an animated special, but also as a regular series episode. I love that one, too. But, I’m going to pick “Merry Christmas, Mrs. Moskowitz” from the sixth season of Frasier. Some of the best Frasier episodes build from a simple premise to an absurd climax. A very funny episode. I watch year round, primarily because there is insufficient time between Thanksgiving and New Years to take in the required yearly viewing and to catch up on all the stuff that I recorded. It has become something of an obsession. I am still in the process of transferring VHS recordings to DVD (packing the tapes away), where possible, and am watching those a little at a time. Like you Joanna, I watch Christmas entertainment through multiple media. 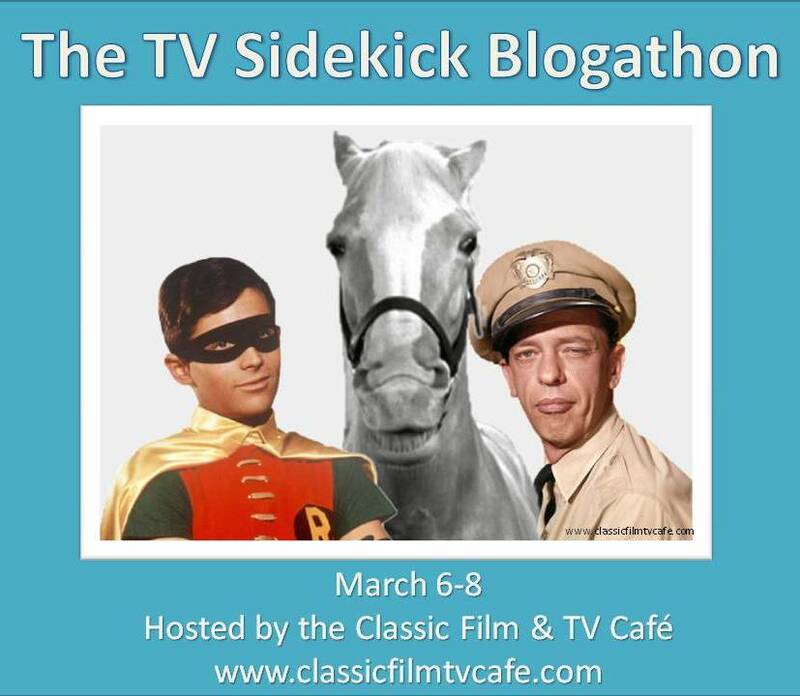 I have cable with a DVR, home-recorded DVDs, purchased DVDs, many VHS tapes, both home-recorded and purchased. I also watch specials or episodes that are otherwise unavailable on You-tube. Also Netflix and Amazon streaming services, sometimes. from 1941's Meet John Doe. Is there an island-themed Martha Stewart Christmas how-to episode? That would be useful. 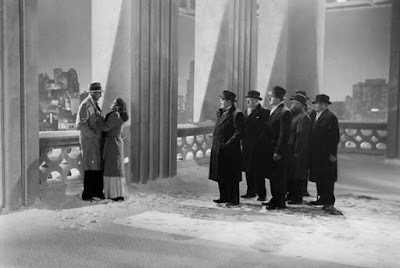 Putting that aside, I’ll pick two Christmas movies I can watch repeatedly: Alastair Sims’ Scrooge or Christmas Carol (1951); Frank Capra’s Meet John Doe (1941) (I consider it a Christmas movie. 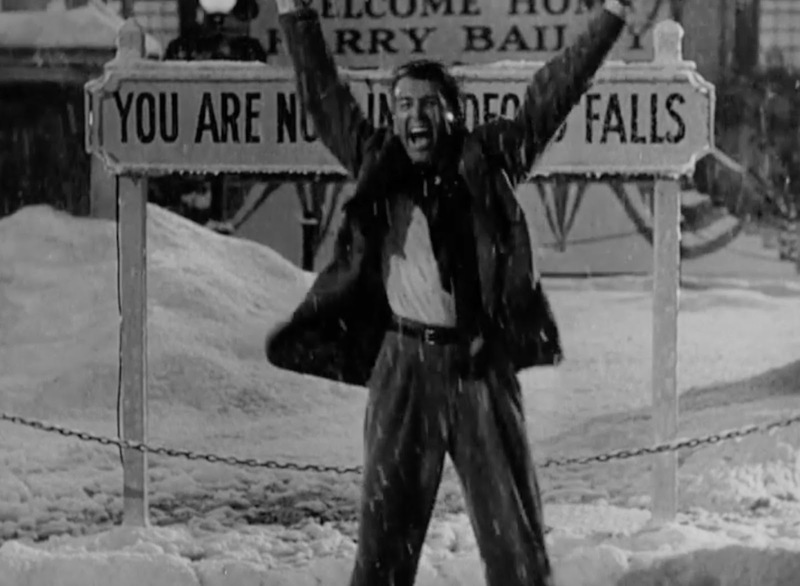 Like It’s a Wonderful Life, the climax of the film occurs on Christmas Eve, and there is a reason why that is so). And, finally, A Mac Davis Special: Christmas Odyssey 2010. Although, it would probably not bear up to repeat watching, I got to see only the first 10 minutes of the show in 1978, and I have been wanting to see the rest ever since. Since the Christmas Island fairies are bringing me only three shows, but I can get whatever I want, that’s it. When I am rescued, I promise to put the special up on You-Tube, unless Mac Davis threatens me with a copyright suit. 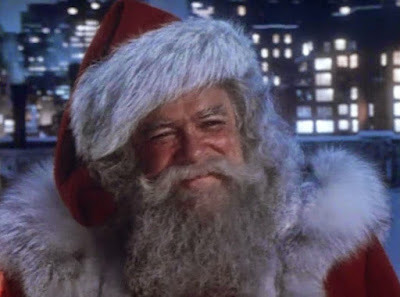 Gwenn was a British stage actor who began his film career in 1916, made his first Hollywood movie in 1940, and had no standout roles until he played Kris Kringle. His emotions from pure joy to despair to removing bubble gum out of his whiskers made this movie a classic. He is the only person to win an Academy Award for portraying Santa Claus. End of story. 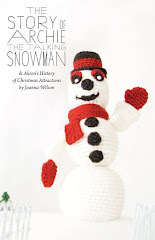 At least once a month, I will devote myself to a Christmas movie, special, or TV episode - thanks to Joanna's book and this blog, it's been fun catching up on things I've missed. We moved into our home on July 1 (17 years and counting). The first thing we did was to subscribe to DIRECTV (17 years and counting). And yes to everything else listed above. 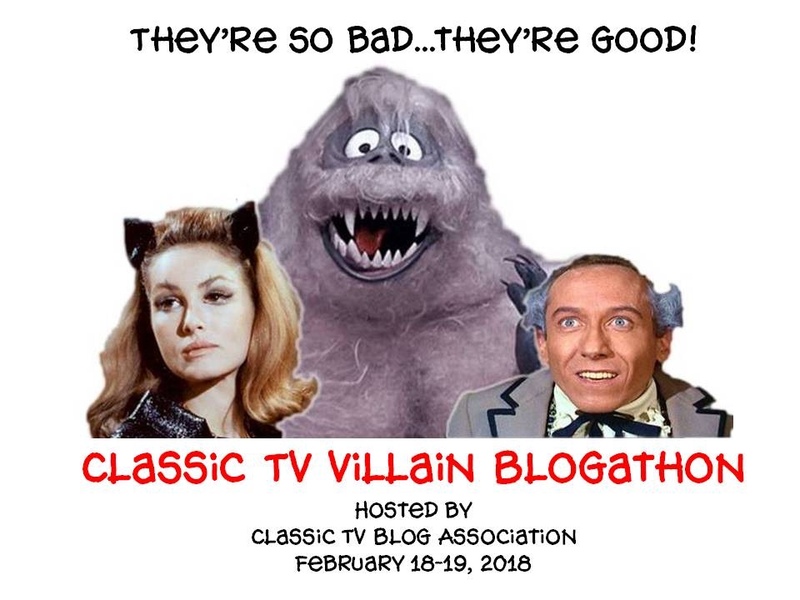 First thought is always Richard Mulligan from the 1985 Twilight Zone remake of "Night of the Meek." 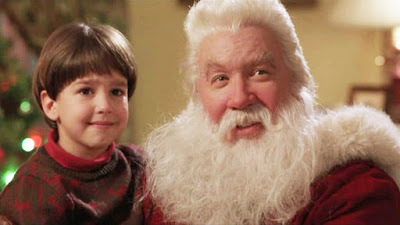 I generally hadn’t thought of Santa portrayals as authentic, because they’re usually pretty one dimensional, or just cliché, but I could really relate with Mulligan’s Santa, someone who started the day as someone else entirely, but who eventually accepted that he was in fact Santa Claus. That portrayal is always going to be my favourite. 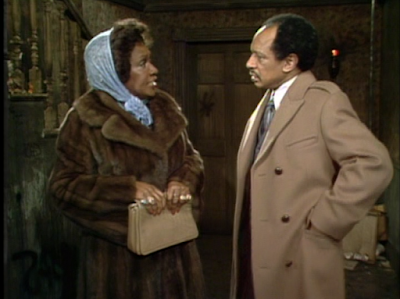 from the 1977 Jefffersons episode "984 W. 124th Street, Apt. 5C." Honourable mentions to Rosemary Clooney on ER, the M*A*S*H episode with Charles and the orphanage, All in the Family’s "The Draft Dodger," Community’s "Abed’s Uncontrollable Christmas," WKRP’s "Jennifer’s Home For Christmas," and the first Simpson’s episode, but I think I have to give it to The Jefferson’s with George’s old apartment. Classic, sentimental, and funny. Regular repeat viewings around here. Facts of Life's "Christmas in the Big House" (and the other Christmas episodes) also gets a lot of plays come Christmas time. Oh, and wanting to pick a more obscure one that I love that might not be as well known, Jack Klugman guest-starring on Third Watch’s ‘Run of the Mill’ is another great choice. And of course the "Night of the Meek" episode mentioned above, but I think I covered that with the last question. All of these get viewed a lot around here. I do watch some year round, as a practicality to keep up and catch up, and to fuel some of my need to capture images from Christmas shows or movies. Obviously the bulk is in winter, ramping up and setting the signal that Christmas is coming, but it doesn’t end the 25th, specials play regularly into the new year, but it slows for sure after that. Nothing wrong with watching them whenever the mood strikes you, if you enjoy them in December why not any other time? 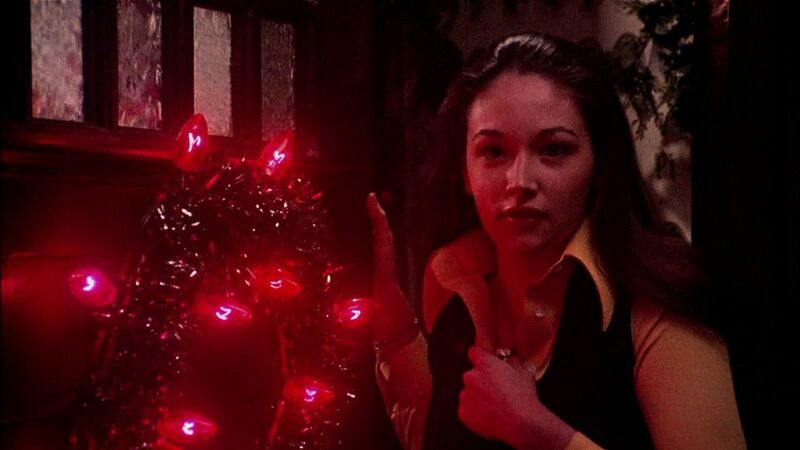 Some like Black Christmas get played whenever, no need to limit to winter. Black Christmas (The original, I don’t acknowledge the remake) because it lends itself to repeat viewing, with new things to discover all the time, Scrooged, because it’s funny, long and always entertaining, and maybe Love Actually, because there’s so many characters and storylines in that it could hold up to regular repeat viewings and still be good. Three very practical answers!